Reduced trauma to nerves, tissues, and muscles. A lesser amount of blood loss. Early return to normal life. Generally the same day surgery. It is having fewer cons which may vary person to person. Some may not be compatible with any kind of surgeries. Some may face the risk of abdominal adhesions and some may have the complications due to carbondiaoxide. One should not bother about the consequnces as these are temporary and can be overcome by intaing some of the medicines. 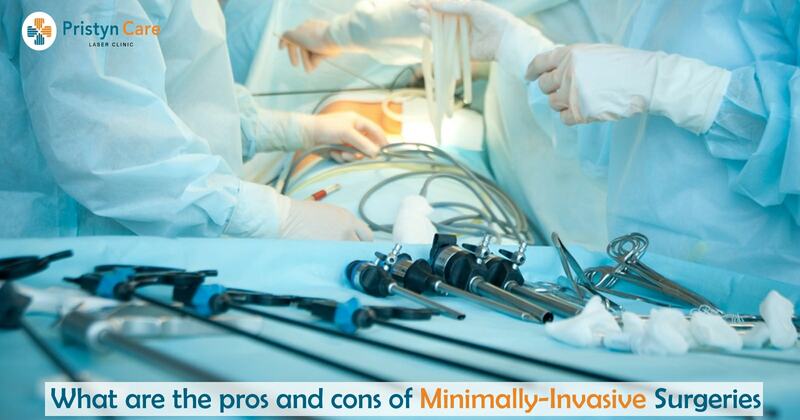 Try availing Laser surgeries which have fewer complications and better results.